Here is another classic example of something I make very often, but put a different twist on it EVERY time! Sometimes I throw in kalamata olives, other times I put in some cubes of fresh mozzarella...it really depends on what I have on hand. *Just mix the first 5 ingredients in a bowl, drizzle with EVOO, add a splash of balsamic vinegar, and then season to taste! How could you go wrong with a little of this, and a little of that?!? Publix sells this delicious Italian multi-grain bread that I cut it into thin slices, and toast a bit. 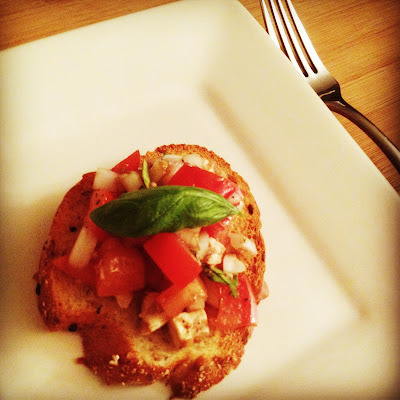 Throw some bruschetta on top, and enjoy! Speaking of the actual meal...the Penne alla Vodka I made from Skinnytaste was delicious! I highly recommend it! 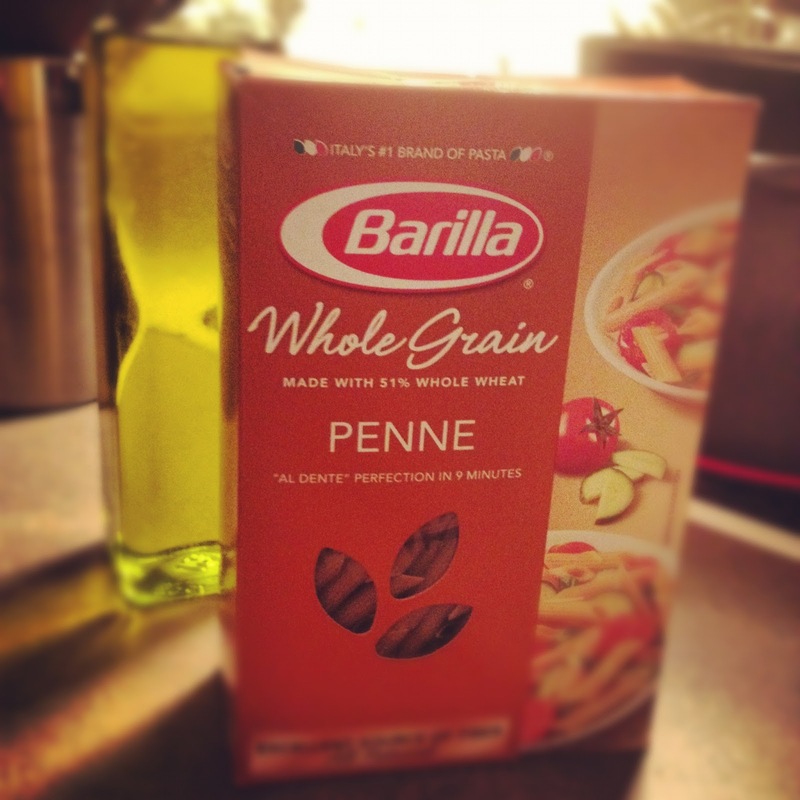 Have you ever tried whole grain pasta?!? 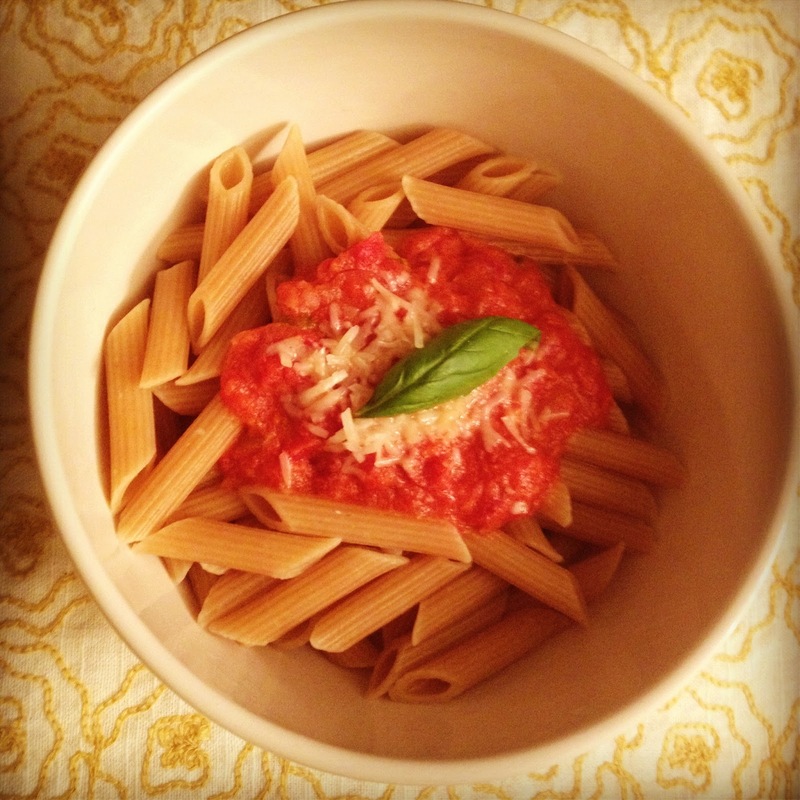 I admit there is nothing like the real thing, but as a weeknight alternative I LOVE it! It is good, give it a chance!